Russia’s Nordwind Airlines (operated by tour operator Pegas Touristik) has won a contract to support the United Nations mission in Africa. On September 9, the Russian carrier’s Boeing 737-800, tail number VP-BOW, with the United Nations inscription painted across its fuselage, landed at Jomo Kenyatta International Airport, located 15 km from the center of the Kenyan capital, Nairobi. Nairobi serves as the UN headquarters in Africa, and the city houses the programs of UN head offices: Environment Programme (UNEP) and the Human Settlements (UN-Habitat). According to the UN website, many regional and country offices of the UN system are placed in Africa, as well as its political institutions and nine peacekeeping missions. Nordwind’s Boeing 737-800 will operate in Africa for one year. In an interview with Russian Aviation Insider, Sergei Goryashko, NordWind first deputy general director noted that before sending the aircraft with a crew to Africa the carrier had received all the necessary permits from the Ministry of Foreign Affairs of Russia and the Federal Air Transport Agency. In addition to the aircraft and crew NordWind also sent a number of technical experts to work in Africa, to perform on-site maintenance of the aircraft. In addition, Goryashko mentioned that Russian MRO service provider NW Technic company (according to the Russian register of legal entities, this company is wholly owned by Karina Bukrei, who controls 4.9% of NordWind) plans to open a line maintenance station in Nairobi. This is not the first time in which te UN has employed Russian passenger airlines’ aircraft to support the activities of its missions. One other example is UTair’s Boeing 737-400, which used to fly for UN. NordWind has got its own history of collaboration with the United Nations as well. In the summer of 2013 Gennady Wani, the former general director of the operator, said that in November 2012 NordWind aircraft performed several flights as part of peacekeepers rotation in Syria. “The main objective of our work under contract with the United Nations is the otimal use of our fleet in times of passenger traffic decline. In 2011 we witnessed a serious reduction in tourist traffic to a number of destinations because of African revolutions, unrest in Turkey and the floods in Thailand. It was then when we decided to enter the global market under the United Nations’ banner,” said Vani. Apparently, the current case of NordWind’s cooperation with the United Nations is once again linked to the airline’s attempt to reduce its own losses against the background of a difficult situation in Russian airline industry. In January-July 2016 (the latest data released by Federal Air Transport Agency) compared to the same period last year NordWind traffic dropped 44%, to 861,600 passengers. However, according to Sergei Goryashko, the international charter flights market turned around after non-scheduled flights to Turkey were re-opened. 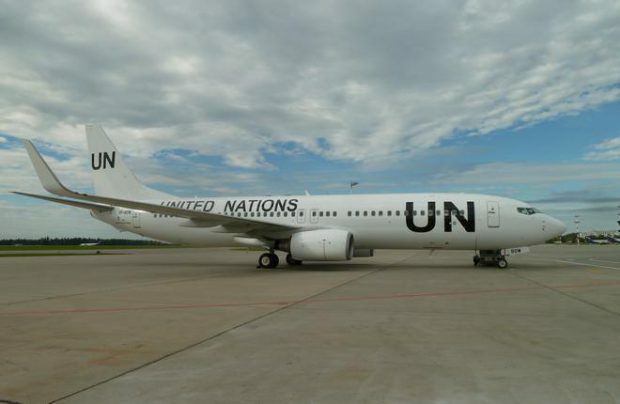 “In any case, a contract with the United Nations for the airline is always a plus,” he said.